KAMPALA – Police has denied blocking music concerts organized by Kyadondo East MP Robert Kyagulanyi aka Bobi Wine, in different parts of the country. 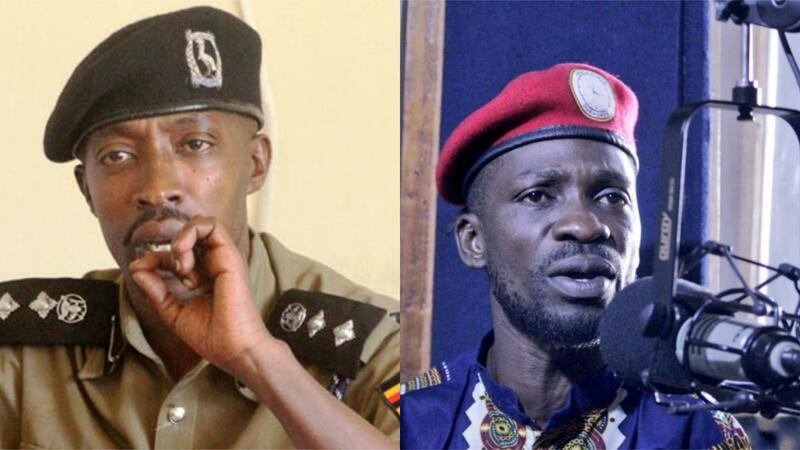 Bobi Wine on Wednesday claimed that he visited the Police headquarters in Naguru Kampala in a bid to seek answers from the IGP Martins Okoth-Ochola on why his concert in Gulu last week and the one scheduled for Mityana have been blocked but he didn’t get any concrete answers. However, on Thursday, police spokesperson Emilian Kayima said police had held a meeting with the singer also Kyadondo East MP and explained to him why his music shows could be authorized to happen. Mr Kayima said Bobi Wine simply announced that he was to have music shows in places like Mityana and Gulu but did not provide supporting documents among other agreements from owners of places he intended to his concerts and plan on how to handle the number of revellers that could turn up for his shows. “It is not enough to say you are going to have a concert or gathering in Mityana without indicating the venue and plan for people you expect to attend. You must indicate that you have agreed with owners of venues for your meeting or gathering,” Mr Kayima told journalists at the police headquarters in Naguru, Kampala. Bobi Wine was set to entertain his fans in Gulu Municipality at Smiling Panda on Sunday evening in his much-anticipated concert dubbed Kyarenga Extra. However, the Police stopped the event saying the organizers never got clearance from them to hold the concert. Anti-riot police officers earlier in the day destroyed several banners and posters within Gulu Municipality that were used to advertise Bobi Wine’s concert. Mr Kayima also read out the new guidelines issued by the Inspector General of Police (IGP), Martin Okoth Ochola, on how to organise concerts, secure security for revellers and how to handled and prepared for stampedes. The first guideline requires concert organisers to write to IGP explaining where they intend to hold shows, how they have reached an agreement with managers and owners of the venues. They must indicate the number of revellers expected to attend the concert. Concert organisers must avail measures on how to control the crowds, which include practical and approved traffic plan which must include access and exit routes, parking centres and how they would be managed, safety measures for revellers and vehicles. “Organisers and conveners of concert must show that they have in place measures and capacity to handle emergencies which include medical provisions, fire safety systems and thorough evacuation plans,” Mr Kayima said. Police added that organisers must have clear and elaborate access control measures including hand probes; walk through machines, K9 and scanners. Deployment of stewards must proportionate to the crowds and threat levels. IGP warned Regional, District and Division police commanders against providing security for music concerts whose plan has not met the requirements. “All unit commanders must take these measures seriously and make sure they are in place for any cleared events. These premises must be physically inspected before the event,” Mr Kayima said.